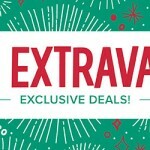 Have You Shopped The Sales Online At The Online Extravaganza? 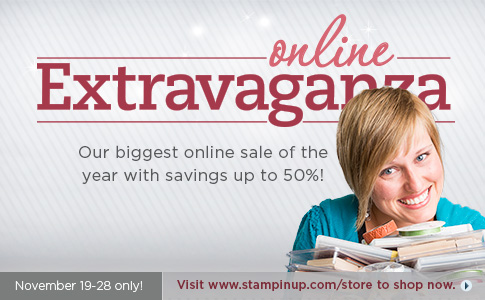 The Online Extravaganza Continues Through November 28! There are some great products on sale at Stampin’ Up! ranging from 20-50% off. My card today features several items that are 30-40% off. I loved the Pennant Parade items as soon as I saw them. 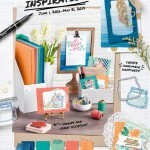 The coordinating products make having beautiful or interesting shapes easy to create. They have a Bigz Die that coordinates with the pennant theme, as well as a stamp set, a wheel, and a petite pennant punch builder. I used several of those items to create my card today. 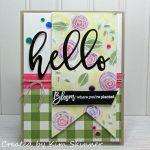 This was a fun card to create! I used the In Colors for my inks and papers. 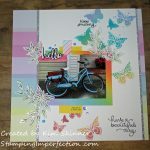 I used the Pennant Parade stamp set which is on sale as a bundle with the Pennant Parade Wheel at 40% off. 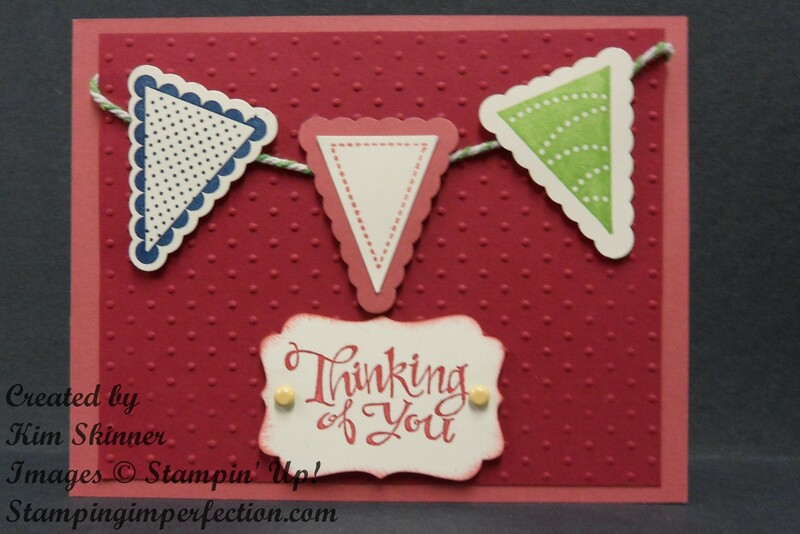 The shapes were cut out using the Petite Pennant Builder Punch that is 30% off this week. The Decorative Label Punch that I used for the sentiment is also 30% off. The sentiment itself is from the Sassy Salutations set. I really like the whimsical style of the lettering on this sentiments set. I sponged the edge of the label with Primrose Petals ink and finished it off with some brads. I’m planning a scrapbook page with this stamp set and the accessories soon. It would make a great birthday theme page or even a page celebrating some fabulous accomplishment. As you’ve seen from previous posts, those pennant shapes make great Christmas trees for cards, bags and tags! Shop in my online store to get these great savings! Don’t forget that the My Digital Studio is 50% off until November 28 as well! Click here to shop online now! 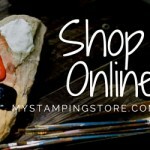 Happy stamping and happy shopping!